Sherbrooke, October 27, 2014 - Self-taught multidisciplinary Anne René Cotret use of oil as a medium of choice. Instinctively, the artist wields a palette of different colors it transforms the rhythm of his spatula. Perpetually in search of Anne René Cotret gives free rein to his imagination in order to soak up the details of daily life. 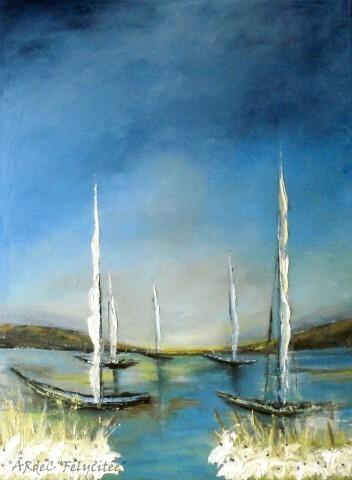 These moments of life, half - half real - imaginary, then become the essence of his creations. Ce sera un plaisir de vous rencontrés(e)! 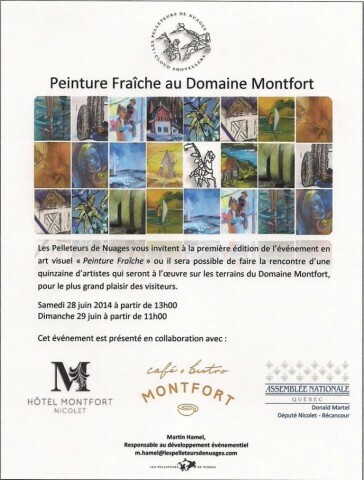 les 28 et 29 juin 2014 à l’événement Peinture Fraîche au Domaine Montfort. ?